In this chapter we describe how to create object classes in R. Specifically, we will focus on the so-called S3 classes or S3 system. This is one of the three types of Object Oriented (OO) systems available in R, and it is the most common among R packages. #>  "heads" "heads" "tails" "tails" "heads"
#>  "tails" "heads" "heads" "heads" "tails" "heads"
The above code works … except that there is an error; the number of heads in six is being divided by 5 instead of 6. R hasn’t detected this error: it doesn’t know that the division has to be done using length(six). Wouldn’t it be prefarable to have some mechanism that prevented this type of error from happening? Bugs will always be part of any programming activity, but it is better to minimize certain types of errors like the one above. R has two (plus one) object oriented systems, so it can be a bit intimidatin gwhen you read and learn about them for the first time. The goal of this tutorial is not to make you an expert in all R’s OO systems, but to help you become familiar with the so-called S3 class. S3 implements a style of object oriented programming called generic-function OO. S3 uses a special type of function called a generic function that decides which method to call. Keep in mind that S3 is a very casual system: it does not really have a formal definition of classes. S3 classes are widely-used, in particular for statistical models in the "stats" package. S3 classes are very informal in that there is not a formal definition for an S3 class. Usually, S3 objects are built on top of lists, or atomic vectors with attributes. But you can also turn functions into S3 objects. Note that in more formal OOP languages, all functions are associated with a class, while in R, only some are. #>  "tails" "heads" "heads" "heads" "heads"
We need a more formal definition of a coin. 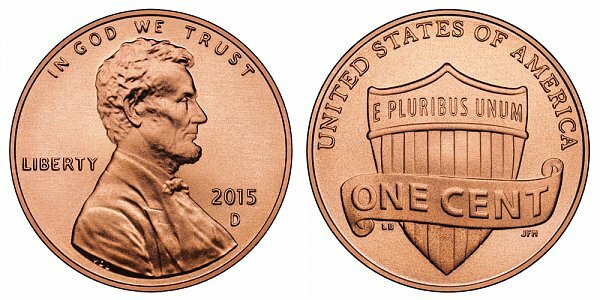 For instance, it makes more sense to require that a coin should only have two sides. In this way, the vector ttt would not be a valid coin. Now let’s try coin() with an invalid input vector. In this case, the constructor function will stop() execution with an error message because the input argument has more than 2 elements. Because the toss() function simulates flips using sample(), we can take advantage of the argument prob to specify probabilities for each side of the coin. In this way, we can create loaded (i.e. biased) coins. Notice how everytime you print the name of a "coin" object, its class is displayed in the form of attr(,"class"). In addition to the class attribute of a coin, the idea is to assign another attribute for the probability values. We can do this by adding a prob argument to the constructor function, and then pass it as an attribute of the coin object inside the class-constructor function. In the previous code, the prob argument takes a vector of probabilities for each element in object. This vector is passed to object via the function attr() inside the body of coin(). Notice the use of a default prob = c(0.5, 0.5), that is, a fair coin by default. # what should we do in this case? Sometimes the default displayed output is all you need. However, there are occasions in which you need to customize the amount and format of information displayed on the screen when you type in the name of an object. # print method for objects of class "coin"
Now, the next time you print the name of an object of class "coin", R will look for a print method (which now exists) and dispatch such method. In other words, quartier1 is of class "quarter" but it is also a "coin" object.